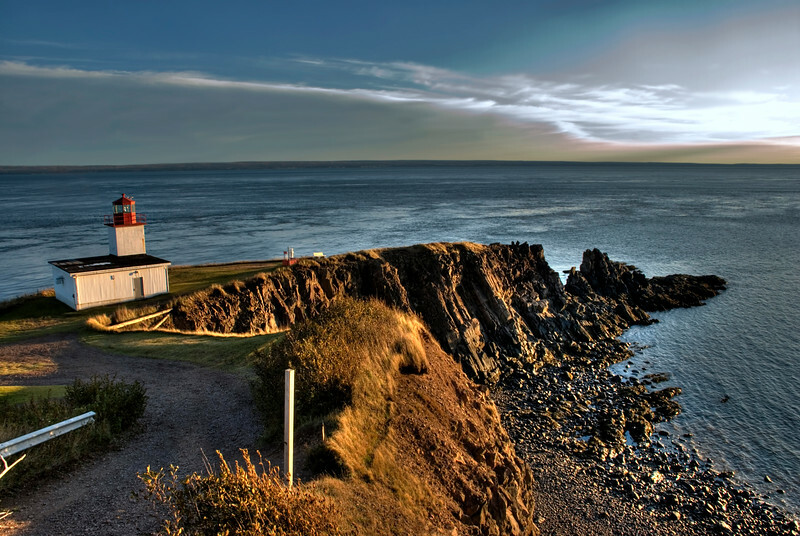 Cape d'Or is a scenic headland on the Bay of Fundy, Nova Scotia. French explorer Samuel de Champlain named Cape d’Or (Cape of Gold) when he sailed by in 1607 and noticed glimmers of gold in the basalt cliffs. Turns out the metal in the cliffs was copper rather than gold, but the name stuck, and today many come to the cape to enjoy the golden sunsets.